I recently made a trip to the Sterling Hill Mining Museum in Ogdensburg, New Jersey. 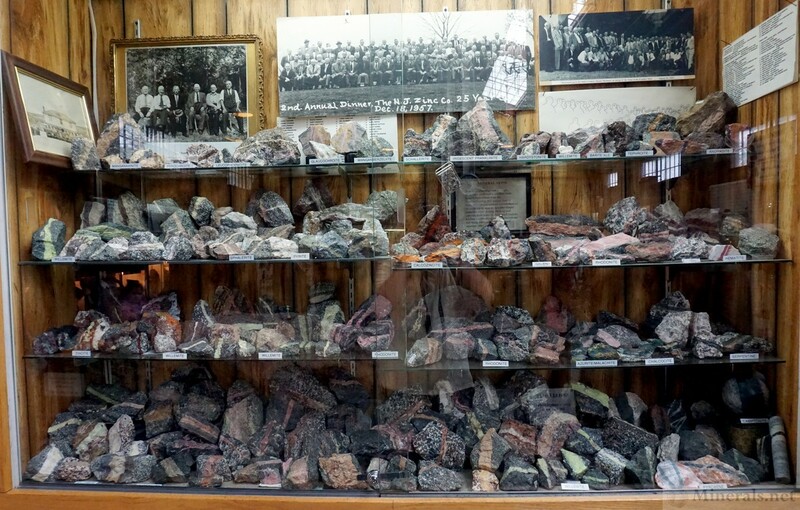 The museum is on the grounds of a former mine, the Sterling Hill Mine, which was one of the largest producers of zinc in the United States. 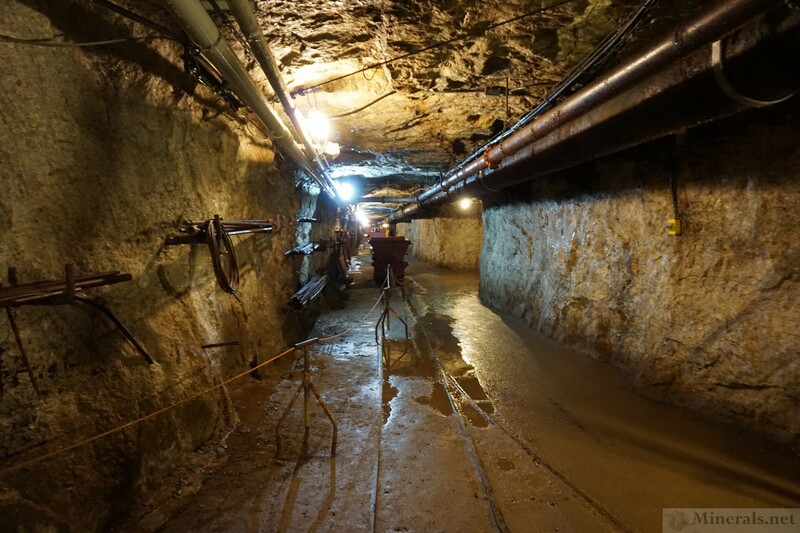 This productive underground mine was closed in 1986 and converted into a museum, with an underground tour in the former mine tunnels. The Sterling Hill Mine is located in the Franklin Marble, a Precambrian deposit of white and weathered brown Calcite crystals in Northwestern New Jersey. The Sterling Hill Mine, together with the nearby and geologically similar Franklin Mine, has produced more mineral species than almost any other mine in the world. 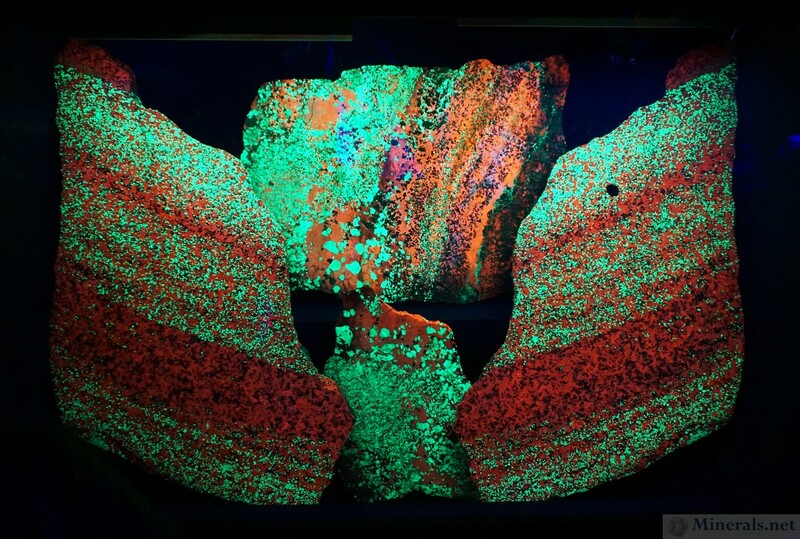 Franklin and Sterling Hill are also collectively known as the "Fluorescent Capital of the World," due to their abundance of fluorescent mineral specimens. 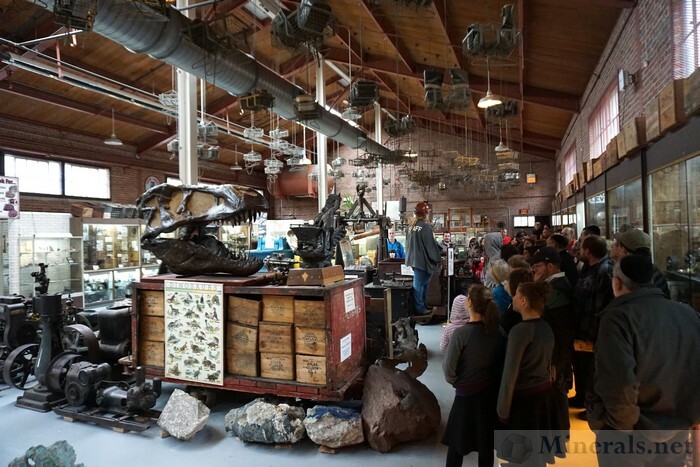 The museum tour starts in the Concession Building where tickets are purchased, inside the gift shop. 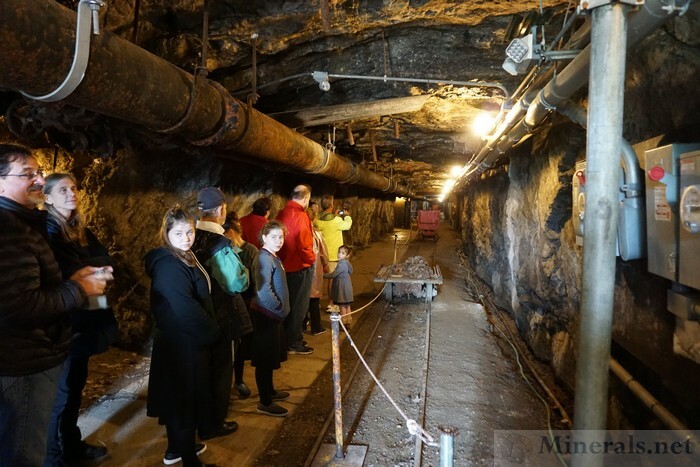 A guide then leads the group to the Exhibit Hall, which contains many relics from the old mine as well as interesting mineral samples. 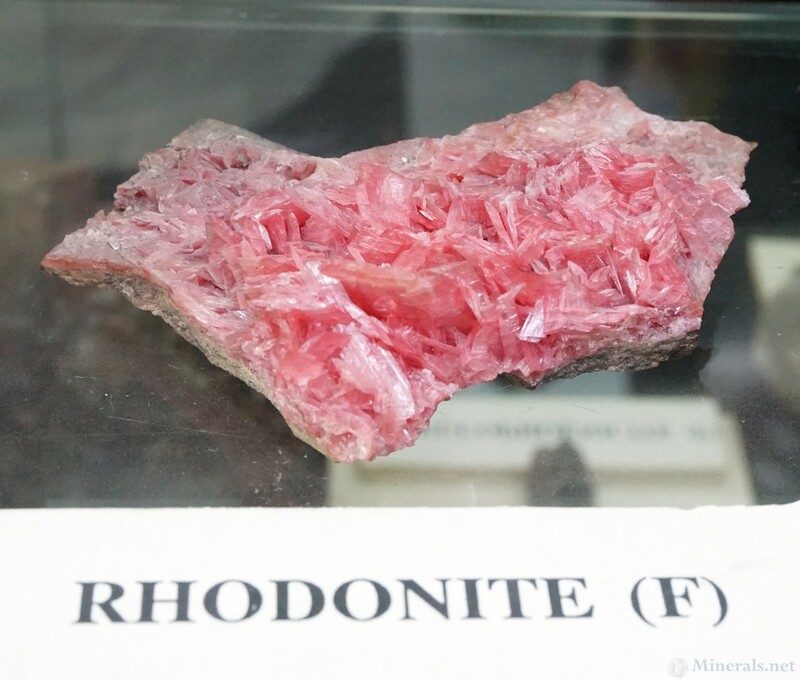 The Exhibit Hall also contains an outstanding worldwide collection of fine minerals. The tour continues in the old mine tunnels, where one visits the Lamp Room, Shaft Station, Ore Pass, the Rainbow Tunnel, a loading bin and ore car, and one can see a blasting demonstration. The tour ends after exploring the Geotech Center, which contains many more local and fluorescent minerals on display. 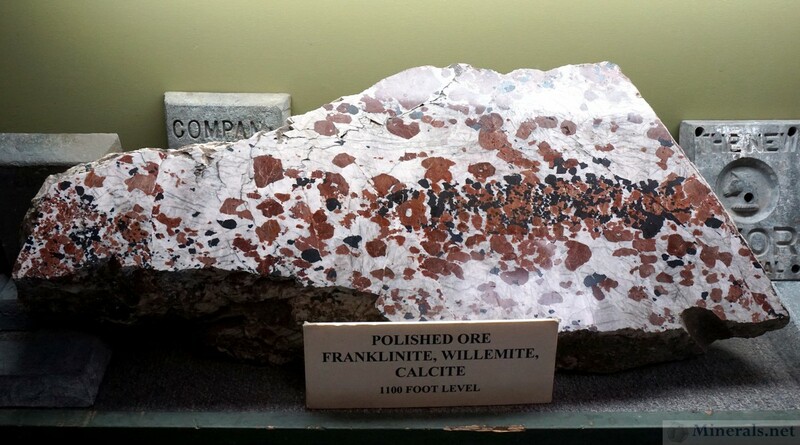 This first post will document the mine tour, and our next post will document individual mineral images from the museum. 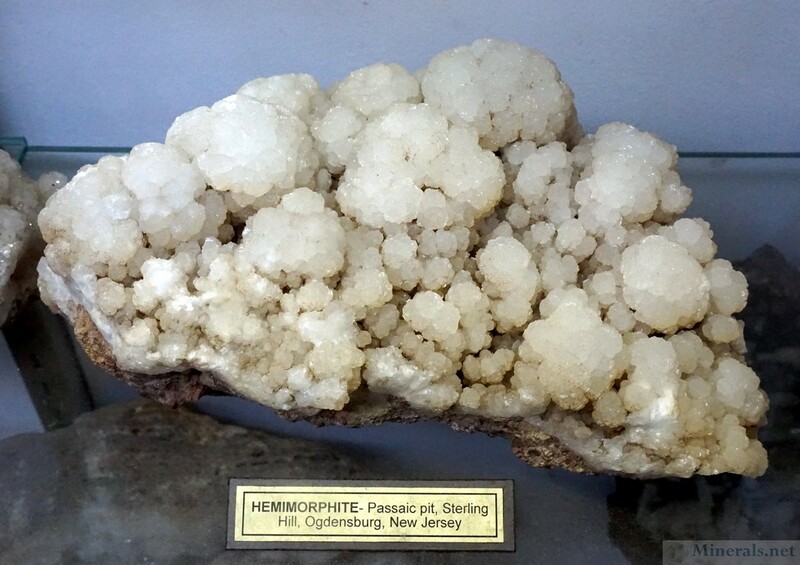 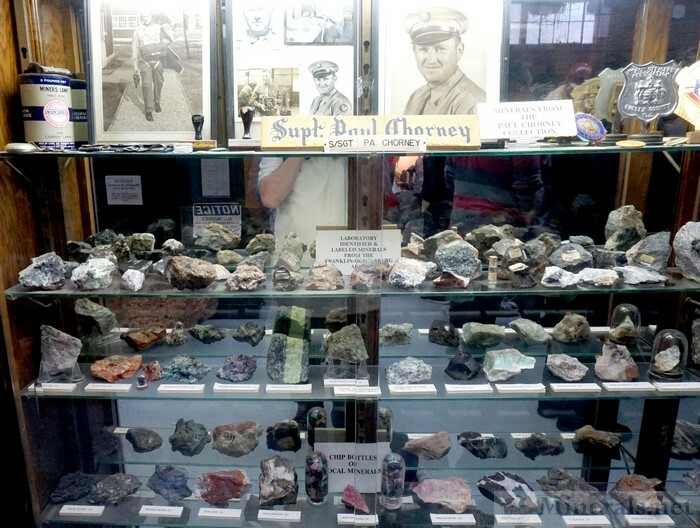 Our next post on the Sterling Hill Mining Museum in Ogdensburg, New Jersey, focuses on the minerals and displays of the museum. 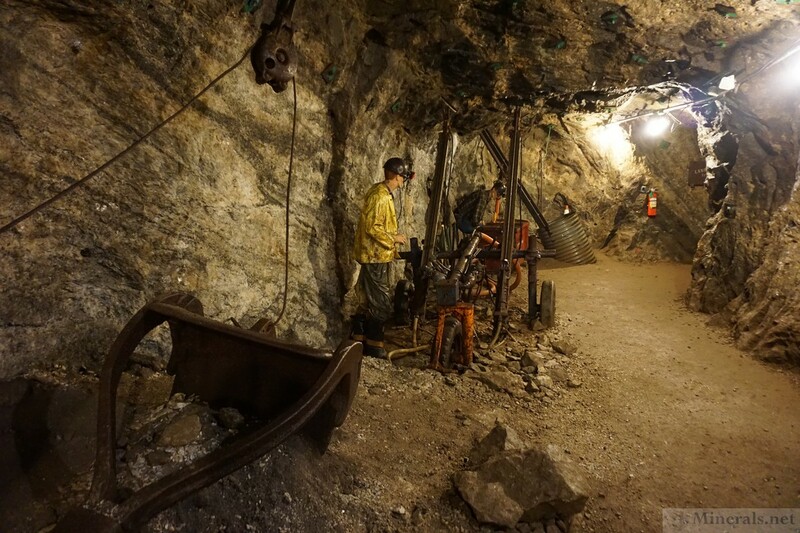 The highlight of the museum is the mine tour and preservation of the historic zinc mine for public view and exploring. The museum also has many mineral specimens and mining artifacts. These include historical artifacts related to the days of active mining, regional artifacts, and general mining and mineral artifacts of interest. 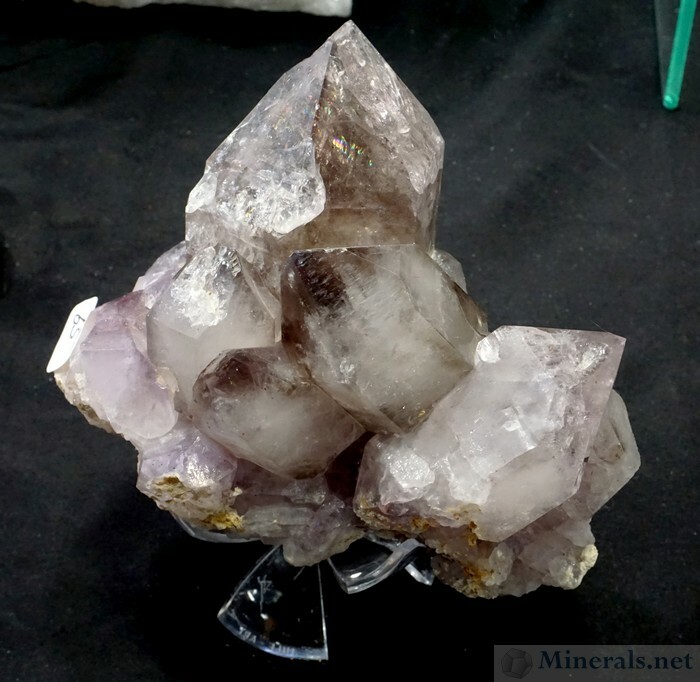 However, the most significant part of the museum collection is their exceptional worldwide collection and important collection of local Franklin and Sterling Hill minerals. 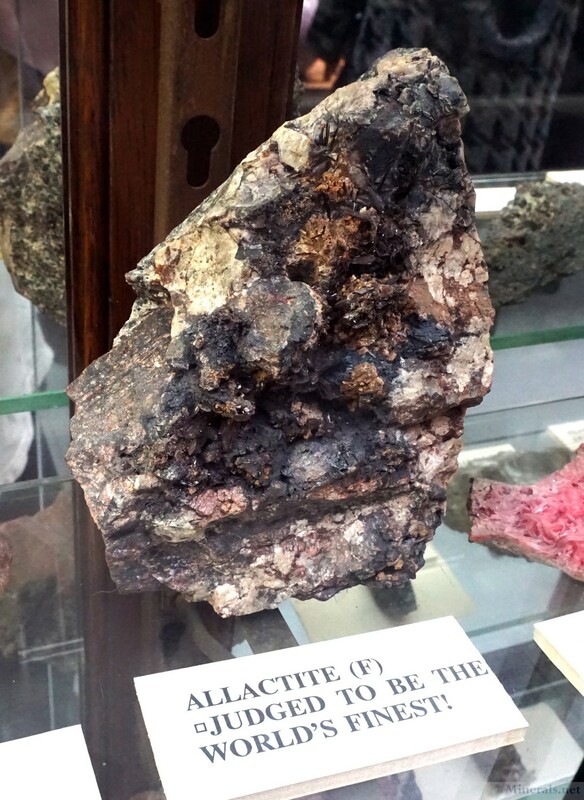 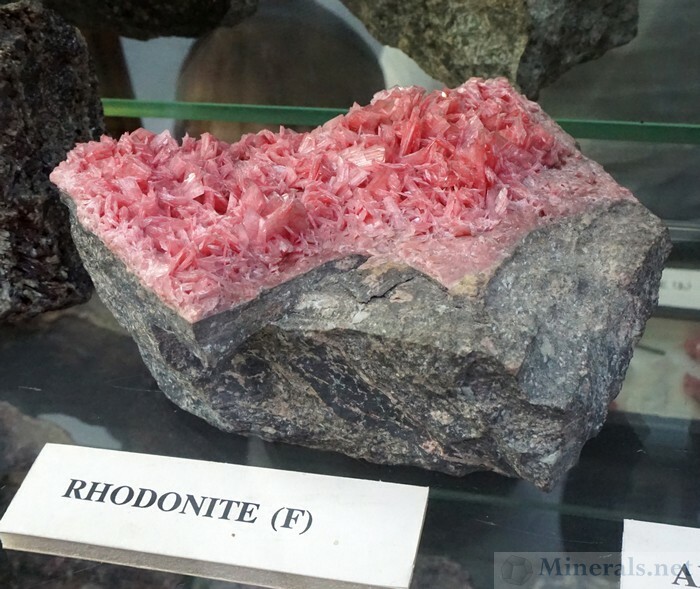 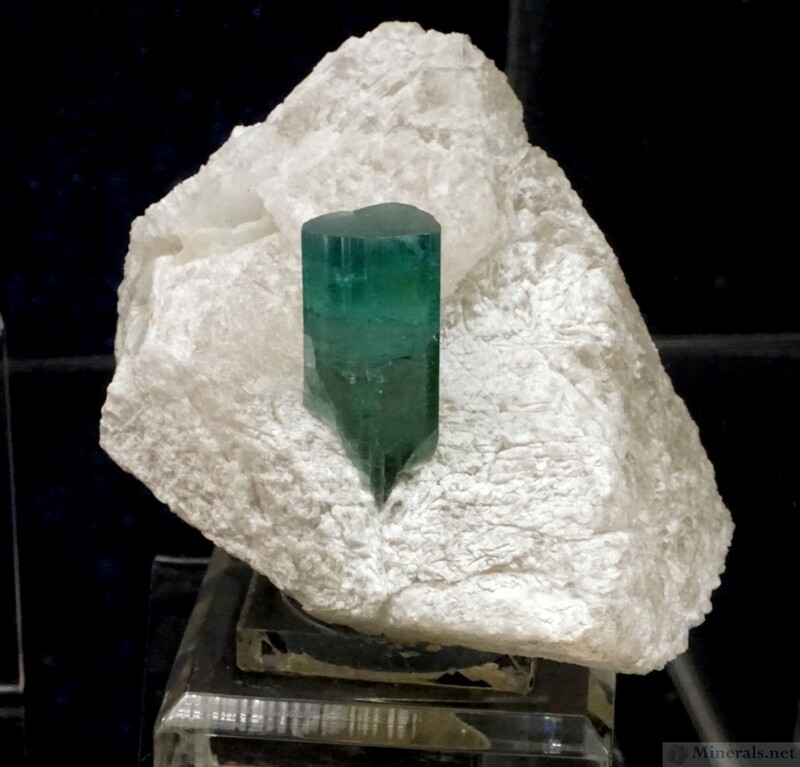 This post features the regional minerals of the collection. This past March saw the release of a new book, titled "Collector's Guide to the Balmat Mining District." 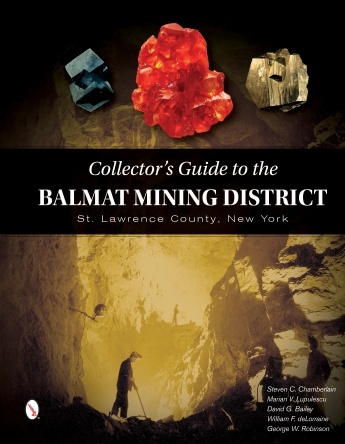 The book provides comprehensive coverage of the Balmat District, which includes Edwards and Fowler, in upstate New York. 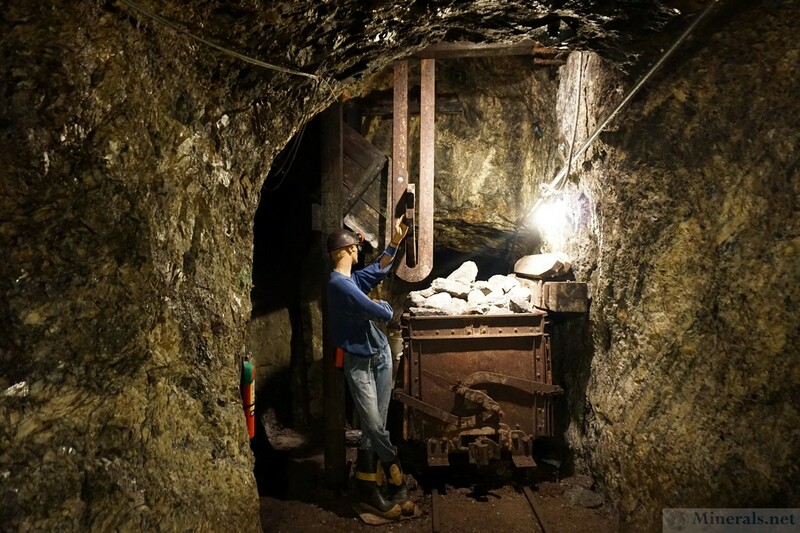 This district is one of the most famous mineral-producing regions in all of New York State, having produced exceptional minerals since the mid-1800s. 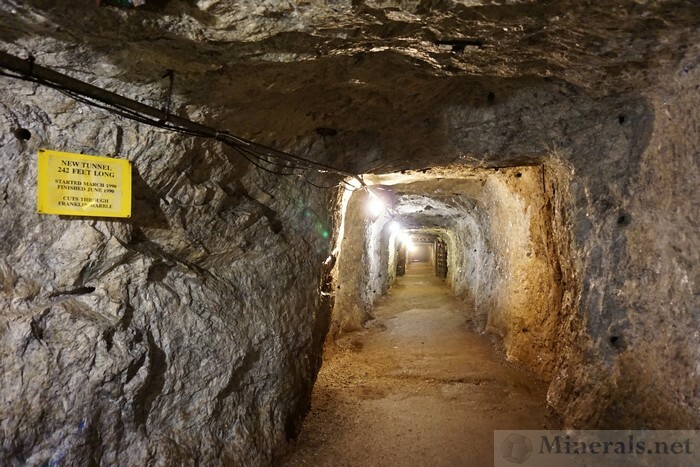 The district is located in the far-northern part of the state, near the Canadian border. 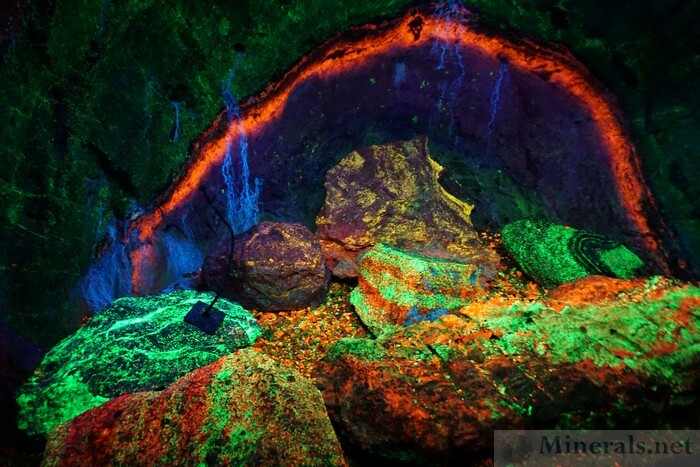 The book, published by Schiffer Publishing, is authored by several experts in New York State Minerals: Steven C. Chamberlain, Marian V. Lupulescu, David G. Bailey, William F. deLorraine, and George W. Robinson. It starts with a history of the talc and zinc mining of the district, then explains the geology of the region, and then proceeds to discuss the individual minerals of the deposit, which is the bulk of the book's contents. 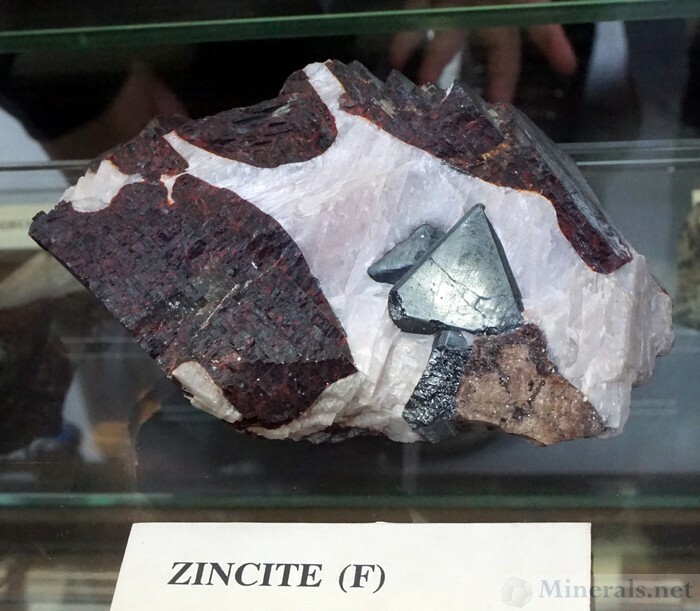 Some of more noteworthy minerals this district is famous for include Calcite, Lazurite, Magnetite (in rare cubic crystals), Phlogopite, Pyrite, Sphalerite (in fully transparent examples), and Tremolite (especially the Hexagonite variety). 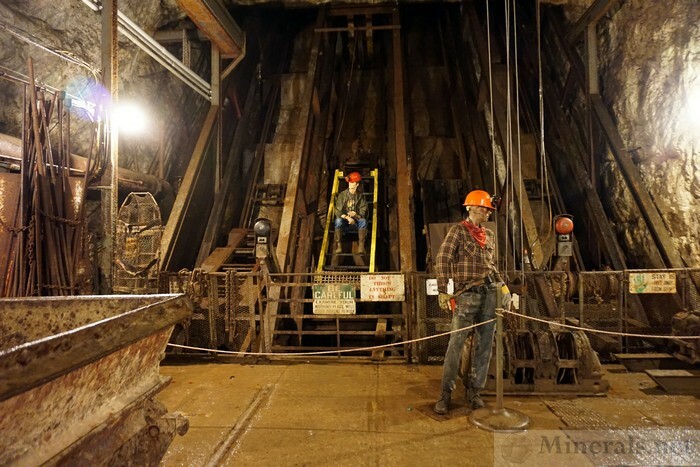 This book provides the most comprehensive coverage of this famous mining district. 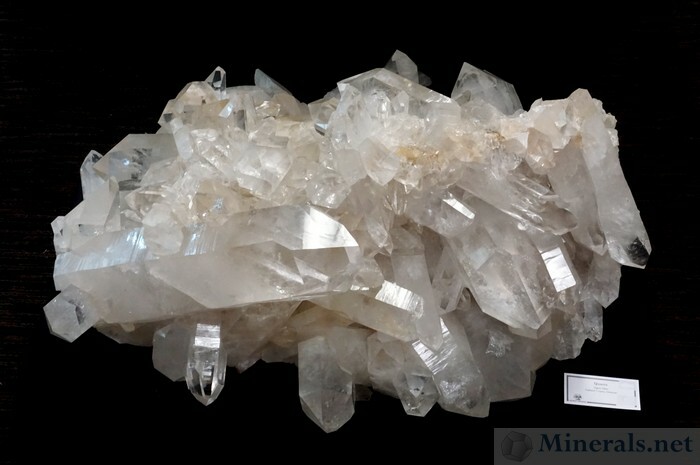 Aside from its rich and detailed background and history of the district, it also provides many quality photos with a good selection covering all the important minerals in different habits. 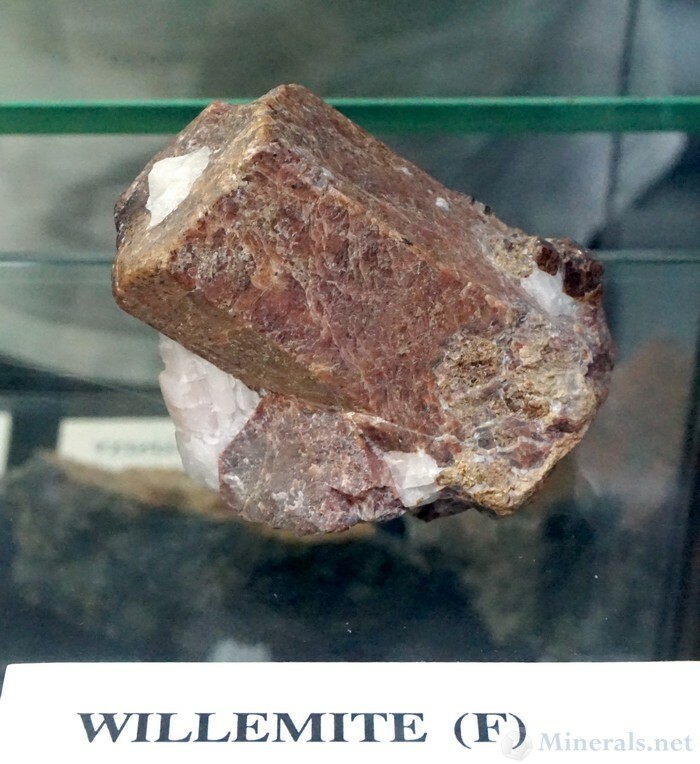 It is highly recommended reading for anyone interested in New York State minerals, especially the upstate region of the Adirondacks. 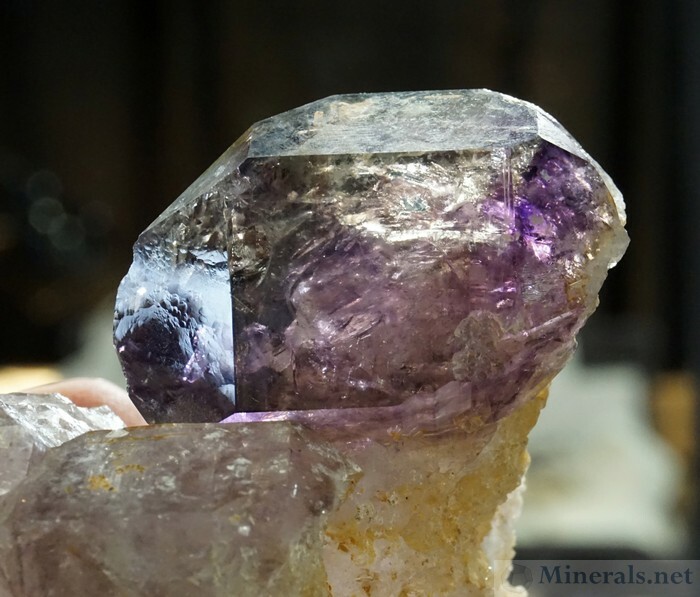 I recently watched the second season of Mineral Explorers, a television documentary of mineral exploration and inside glimpses to to the mineral and gemstone hobby. 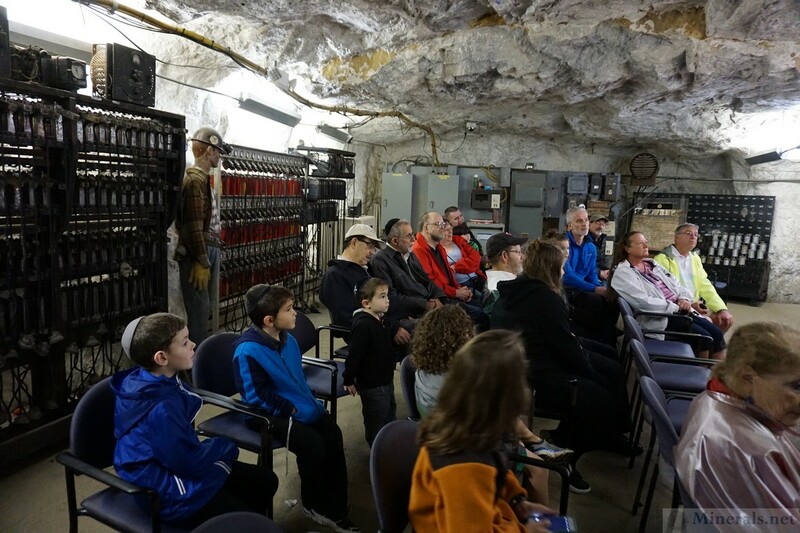 The second season is now available in a three-disc DVD set consisting of seven episodes. The series is produced and narrated by mineral dealer Thomas Nagin, the owner of Crystal Springs Mining and Jewelry Co. 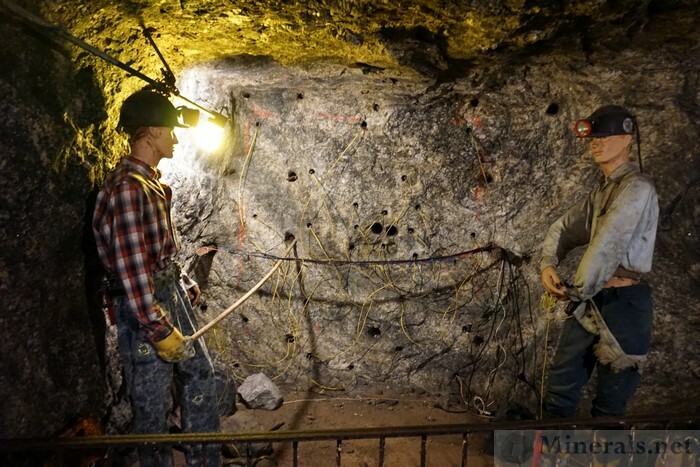 The footage of this series is sharp, information, and well-done. 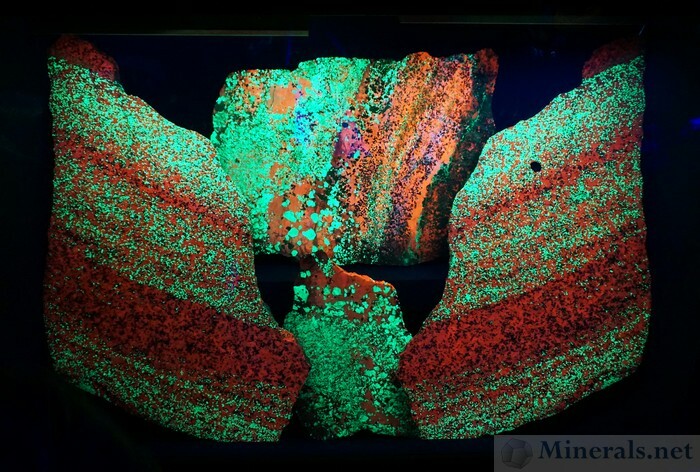 In addition to providing a glimpse at the specimen mining operations at some of the mines, it also provides excellent footage of three dimensions mineral close-ups of quality mineral specimens. Mineral Explorers fills an important void in mineral education, by providing an interactive presentation of important mineral discoveries. 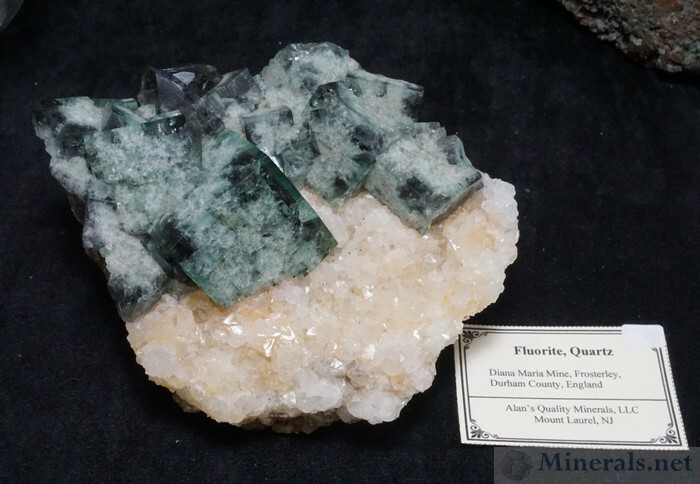 It provides the ability for those interested in the hobby, especially children, to develop an appreciation of how minerals are mined and brought the market. The first DVD in the set includes the Peruvian localities of Mundo Nuevo and Pasto Bueno, both high up in the Andes. 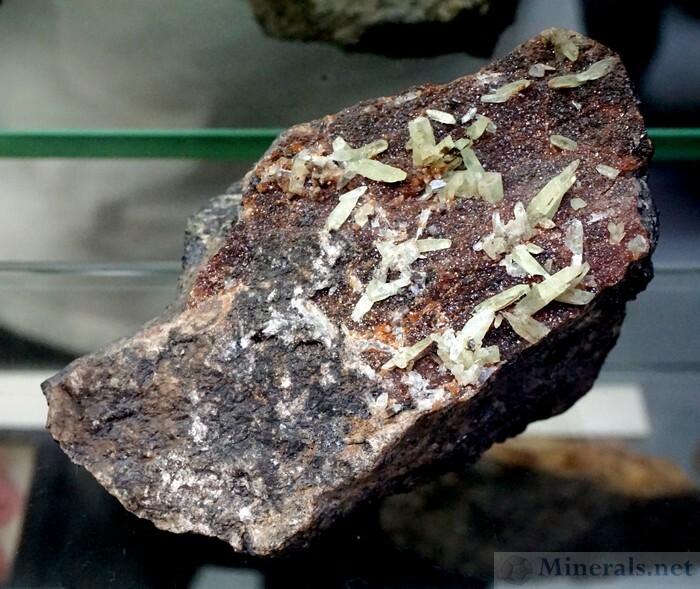 Mundo Nuevo is well-known for its large and splendent Pyrite crystals associated with Quartz, and Pasto Bueno produces Rhodochrosite and tungsten minerals. 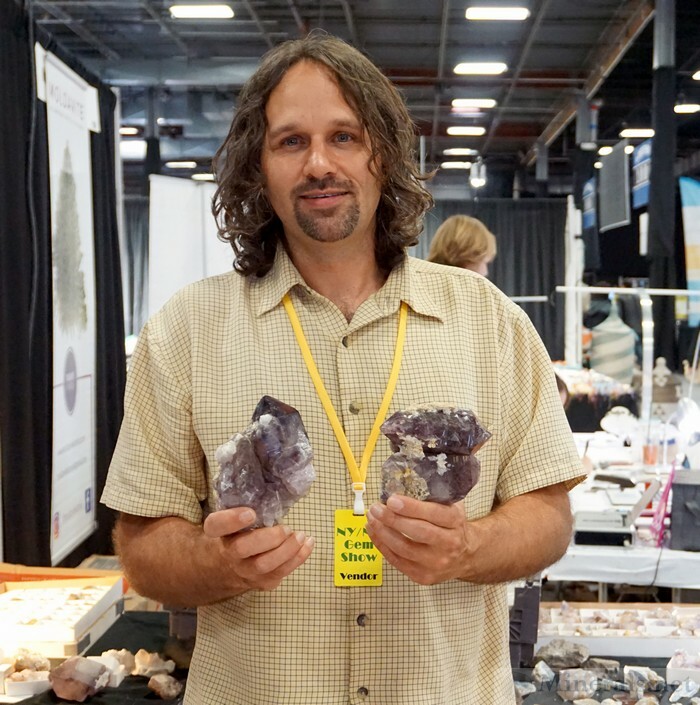 The second DVD delves more into the mineral hobby, featuring stories from the road, and some background on the great Tucson show and Arizona copper minerals. 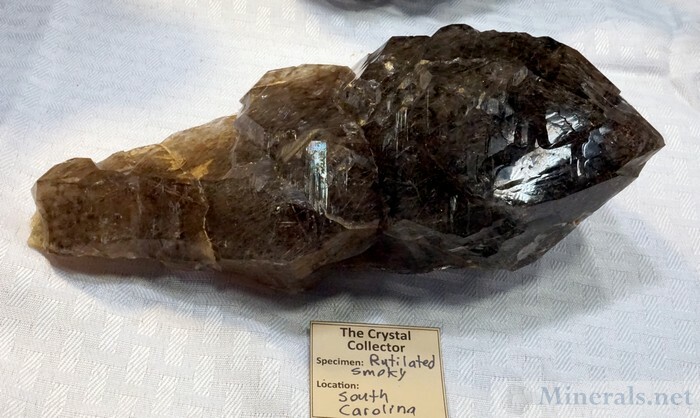 There is also an episode on Southern California, documenting some of the famous gem pegmatites of the region and visiting some renowned collectors. The third DVD is on Spain and Portugal, with an episode going behind the scenes at the the most famous Pyrite locality in the world, The Mina La Rioja in Navajun, Spain. 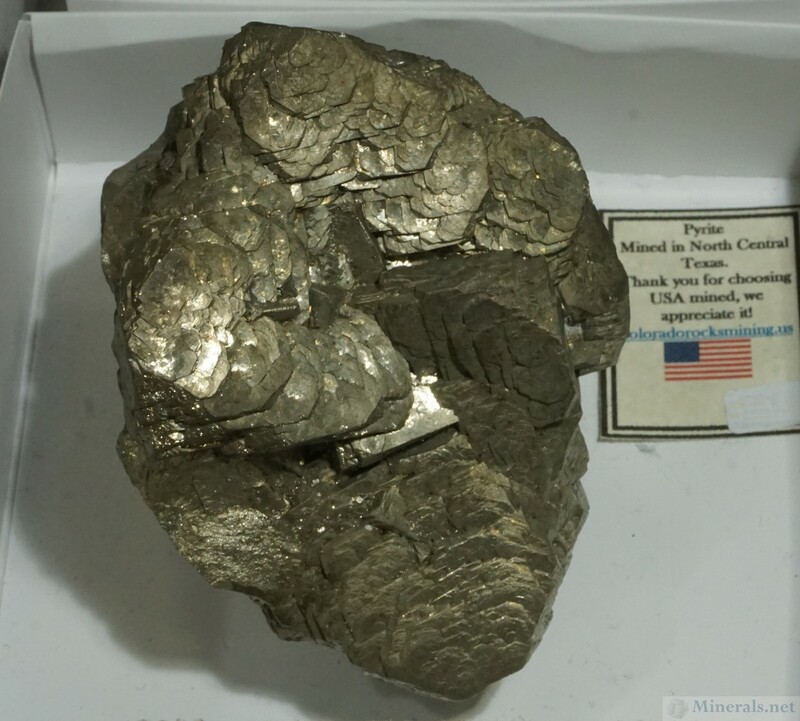 This locality produces the perfectly shaped cubic type of Pyrite well-known by all collectors, and the footage show how these incredible crystals are found and pulled out of the ground. 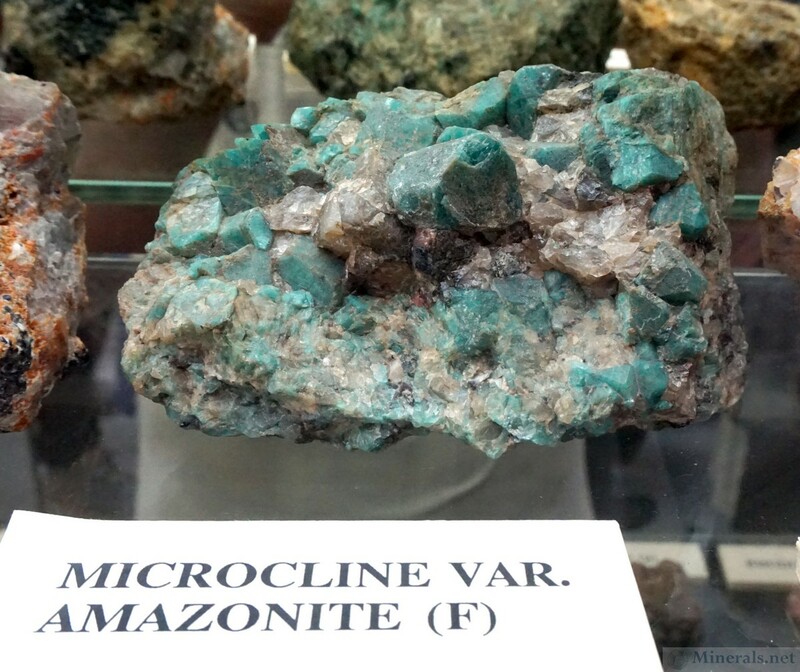 The episode on Portugal concerns itself with the Panasqueira Mine, one of the most important ore mines in Europe today, with a special focus on the mineral Apatite so famously produced from this mine. 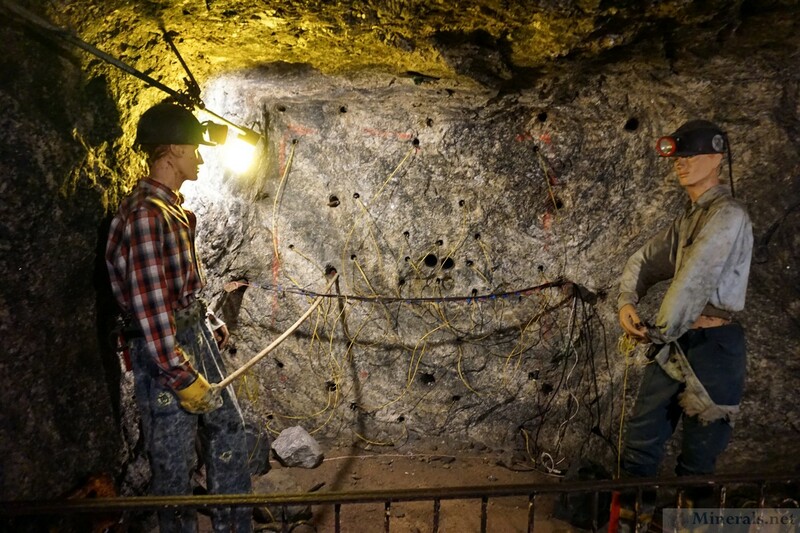 Click here for a link to the official trailer for the second season on Vimeo. 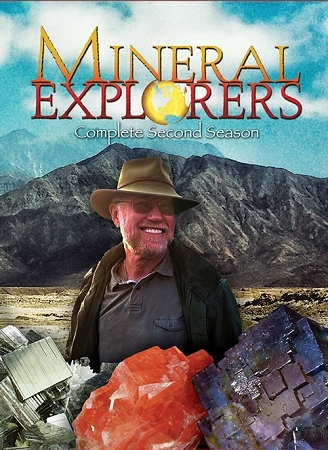 Click here to order the complete DVD set of the second season. 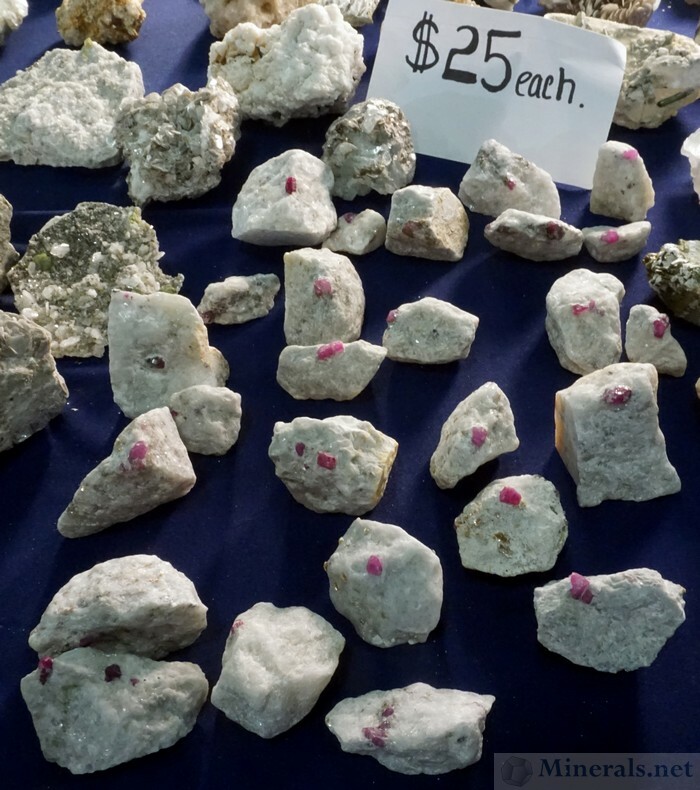 The NJ Gem and Mineral Show has been renamed this year from its former title, with "New York" being dropped from its name. 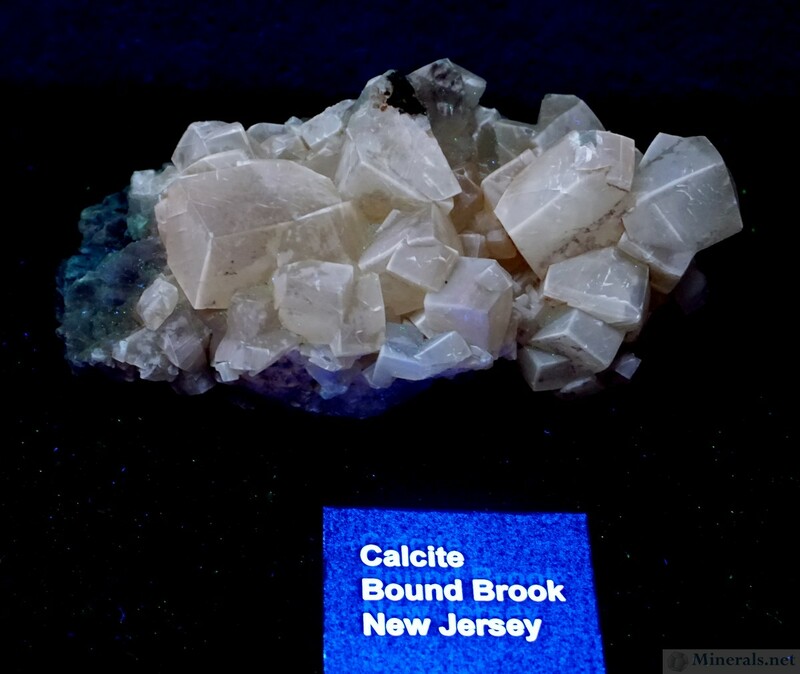 Although it does attract people from nearby New York, (such as myself), it is, after all, in New Jersey. Many locals call it the "Edison Show" after its location in Edison, New Jersey. 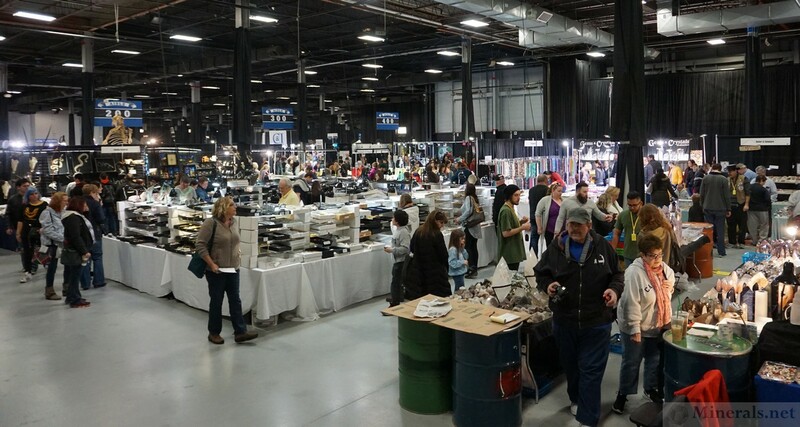 This show is now the largest gem show on the East Coast, and there was an impressive attendance during my visit on Sunday. 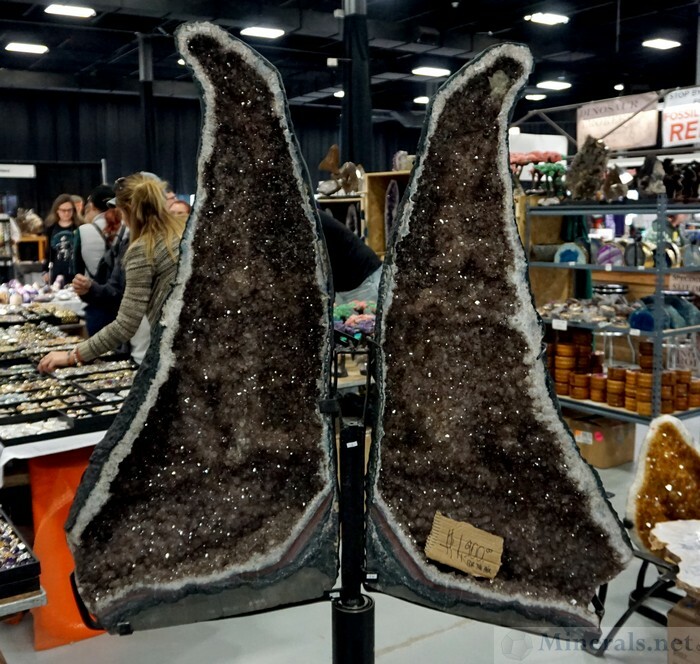 The focus of the show is broad, with a balance of mineral, gem, jewelry, and fossil dealers. 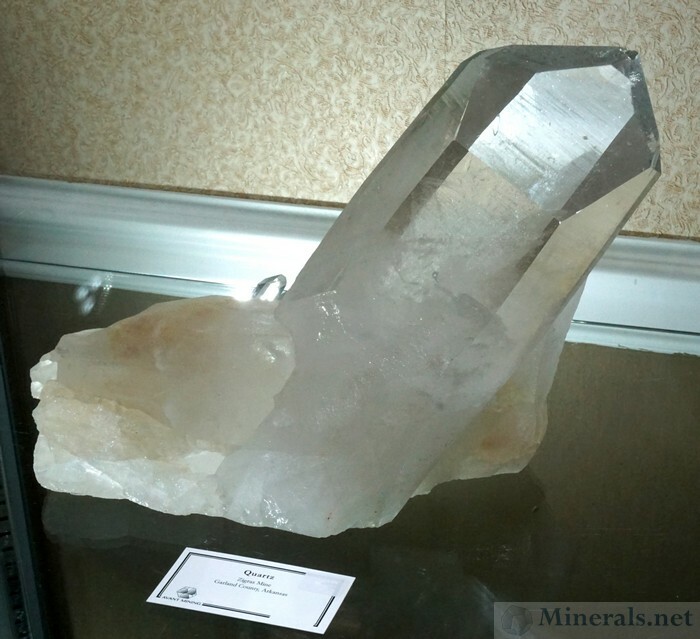 There was a healthy presence of some important mineral dealers that had both new interesting material. 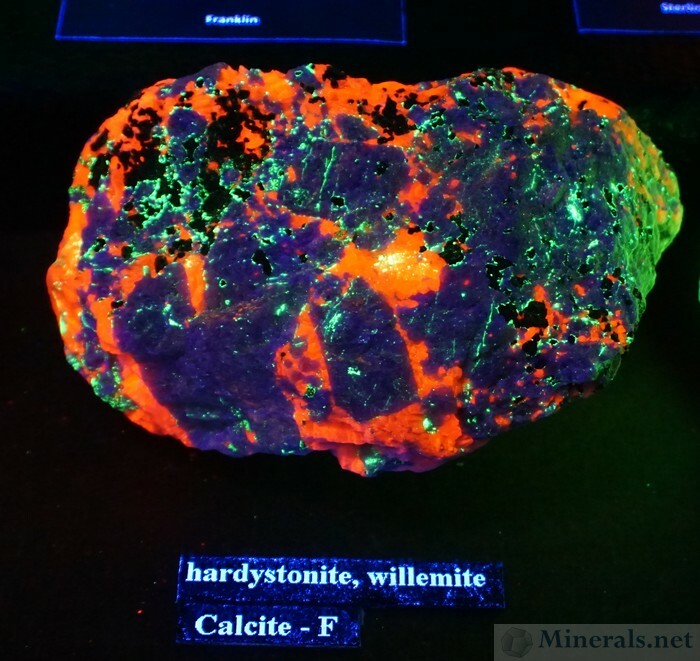 A very impressive fluorescent mineral display was set up in the Junior Ballroom. 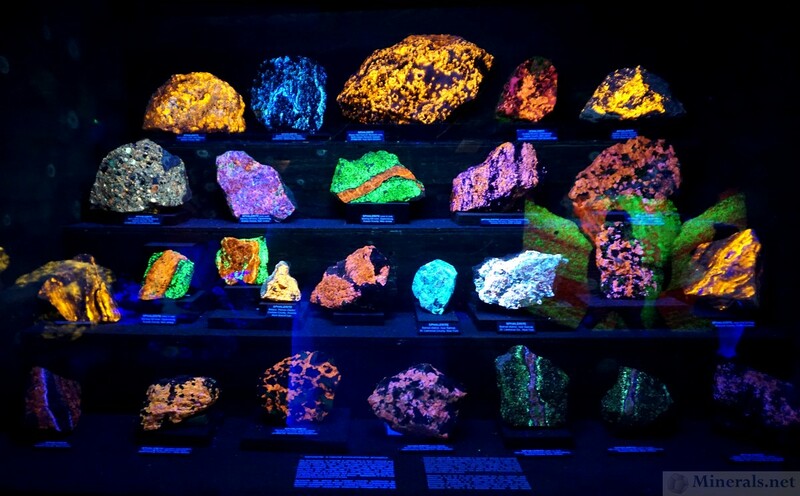 There were ten display cases of fluorescent minerals, with UV lights above each. 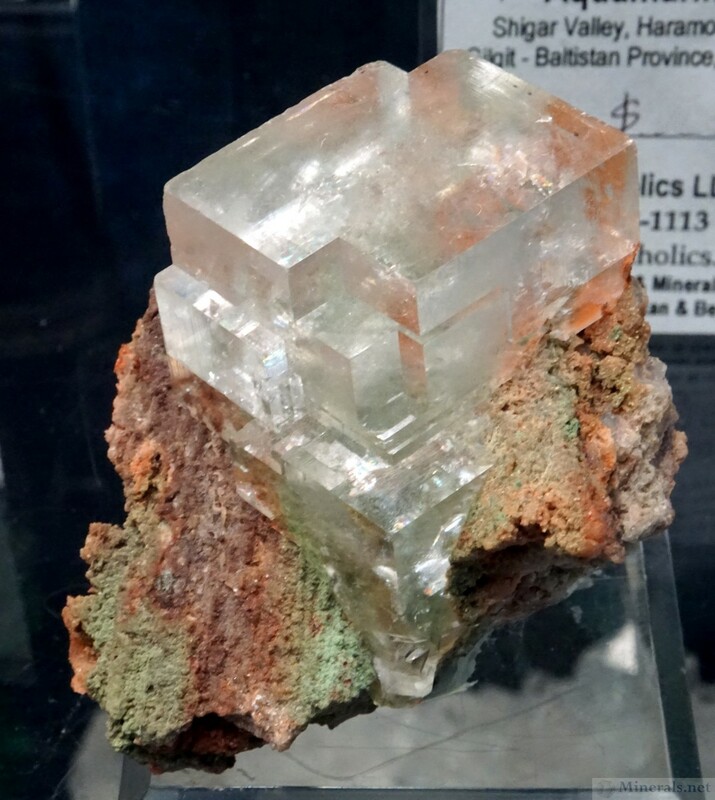 The exhibit was put together by the Franklin Mineral Museum as well as by fluorescent collectors such as Steven Kuitems and Richard Bostwick. 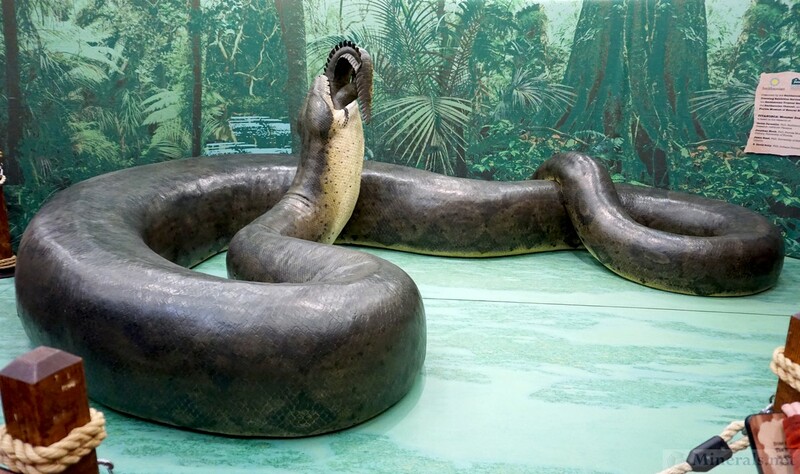 One of the main attractions of the show was “Titanoboa: Monster Snake", a 48-foot long life-like model of the largest fossil snake ever found. It was presented in the process of swallowing an adult crocodile, which was likely one its primary food choices. 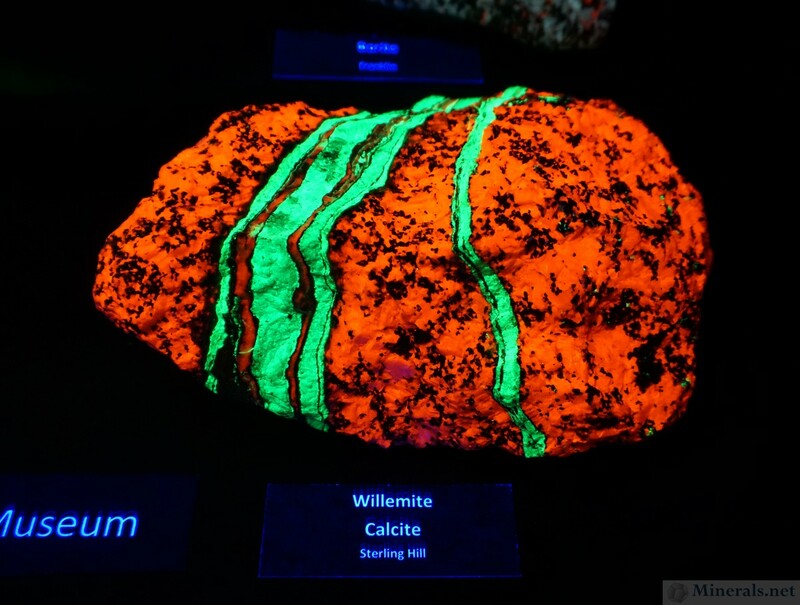 The exhibit belongs to the Smithsonian Institution, and was previously seen at the Florida Museum of Natural History. 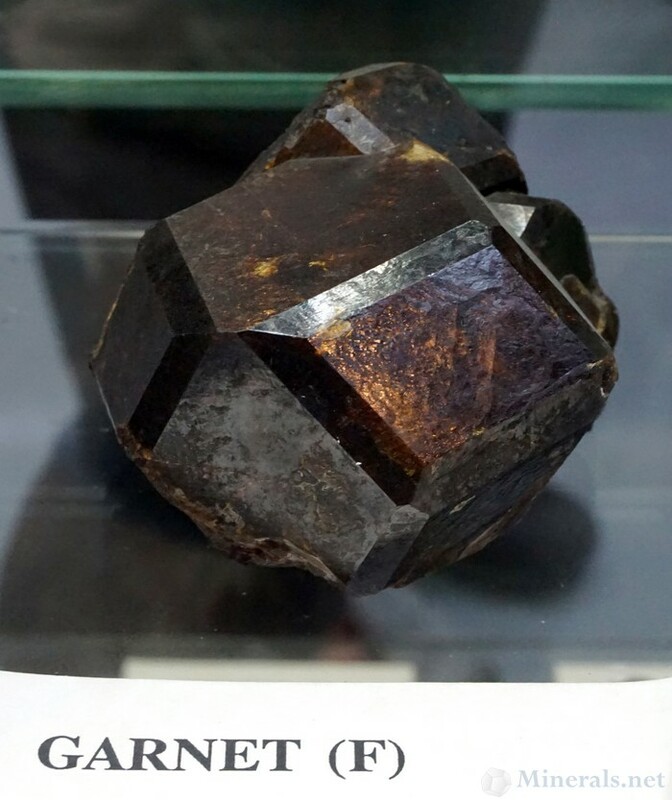 After the show ended, it was shipped to the British Museum in London for further exhibition. A nice surprise at the show this year was Avant Mining, run by James Zigras with a full room of large and beautiful Quartz crystals from his new and productive Quartz mine, which he aptly named the Zigras Mine, in Garland Co., Arkansas. 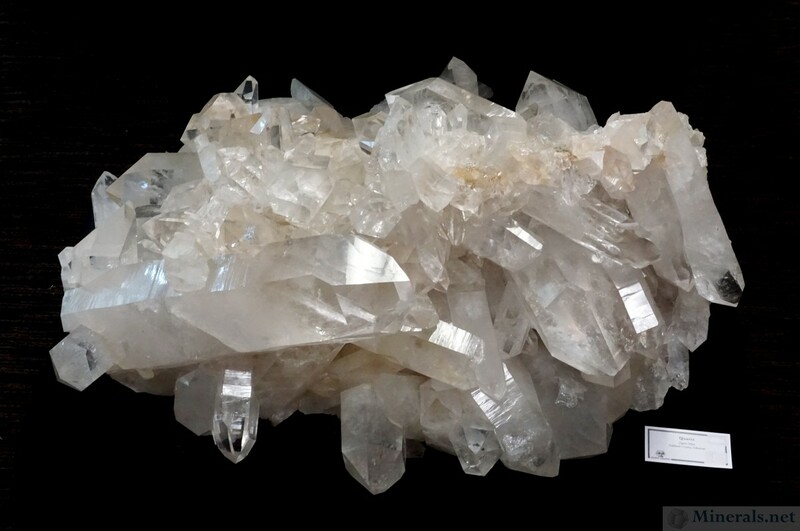 Large individual crystals and impressive Quartz clusters, all recently mined, could be seen in this room. 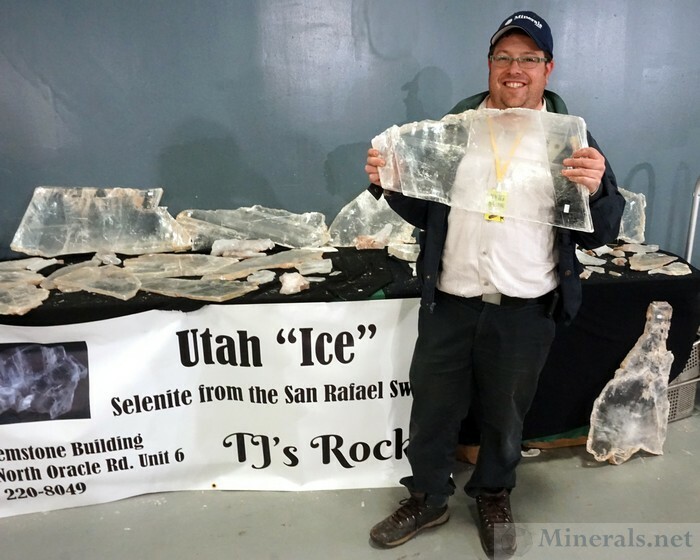 This year, Shannon & Sons Minerals was back, with their very large booth that included many rare species. 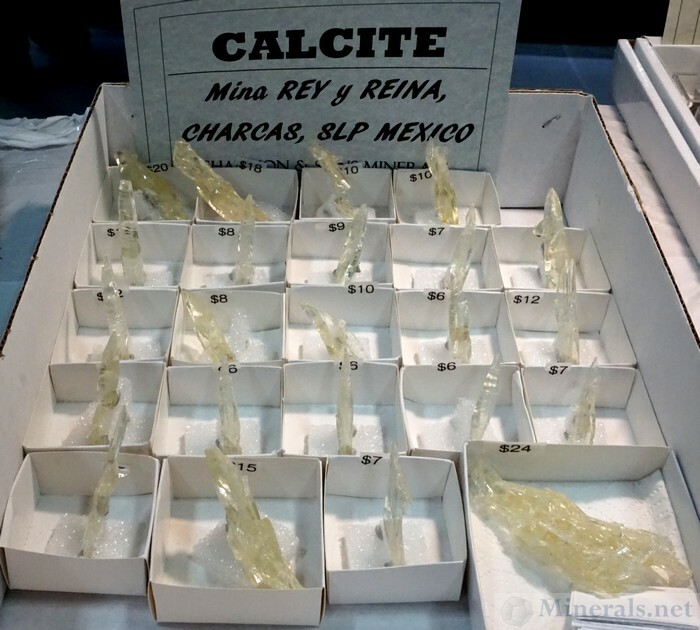 They had a new find of light yellow, transparent yellow Calcite crystal clusters with complex crystal growths from Mina Rey y Reina, Charcas, San Luis Potosi, Mexico. 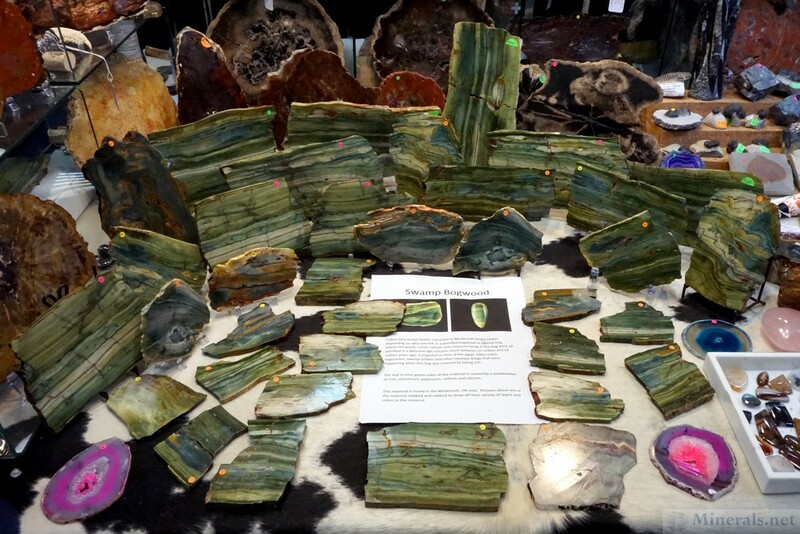 While walking through the show, I came across a very interesting greenish banded Jasper labelled as "Swamp Bogwood" at the JH Stone Galleria booth. 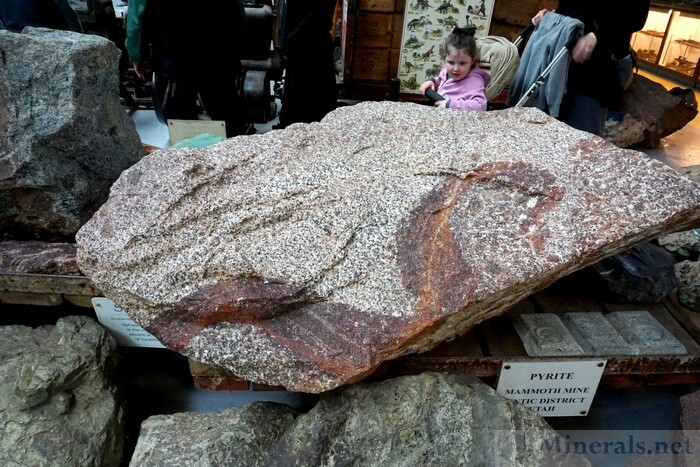 I have never seen this material before, but these nice patterned slabs were unique and affordable, and were labelled as coming from McDermitt area in Oregon. 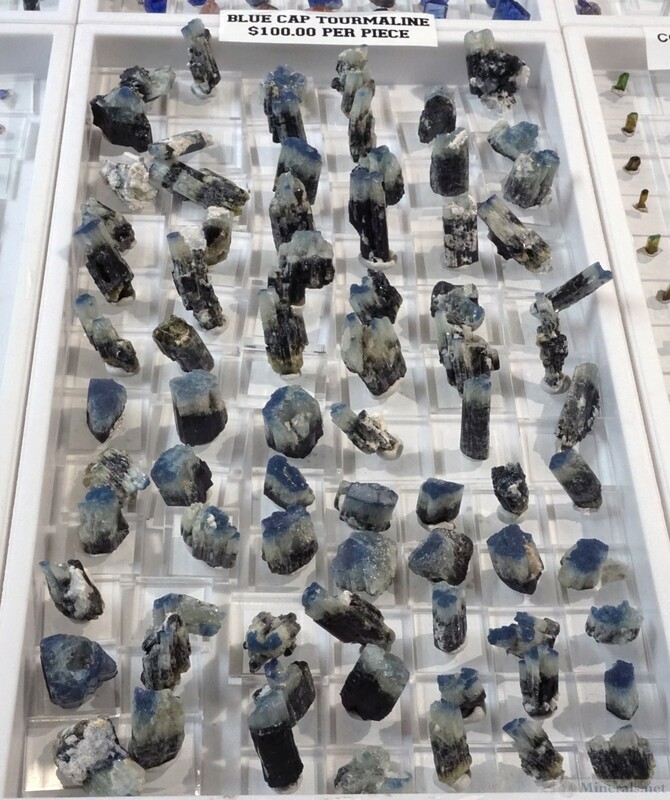 New Era Gems had a large selection of a new type of "Blue Cap" Tourmaline from Tanzania. The "Blue Caps" are part of multicolored crystals with white and black color zones below the blue caps. 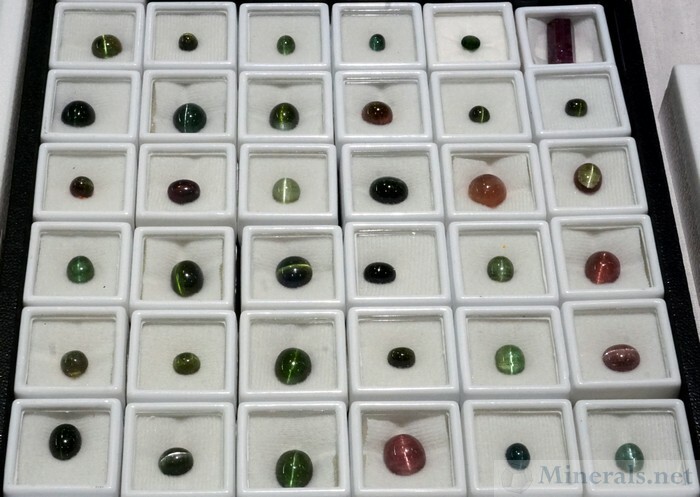 These are quite different the traditional California Blue Cap Tourmalines that we are more accustomed to. New Era Gems also has a whole flat of Cat's Eye Tourmaline cabochons. 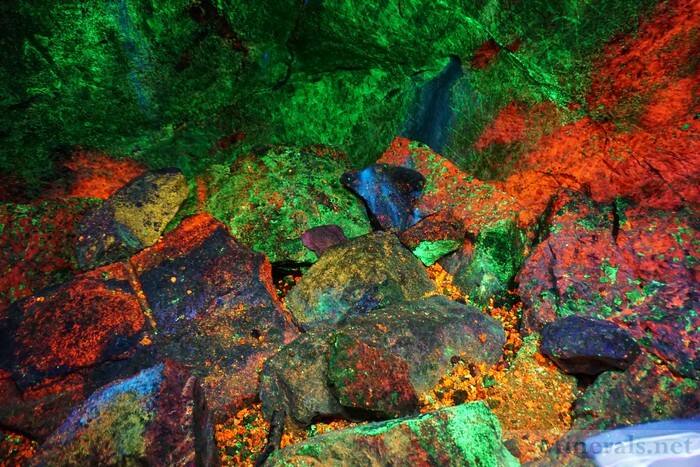 These are rarely encountered, and seeing an entire flat of all different colors was quite interesting. Khyber Gem Stone, a dealer specializing in minerals from Pakistan and Afghanistan, had a new find of Ruby crystals, bright red in color, in a contrasting marble matrix, from Gilgit, Pakistan. This locality has been producing gem minerals such as Aquamarine for some time, but this is a totally new discovery. The prices were remarkably affordable, and I couldn't resist picking up a piece for myself. 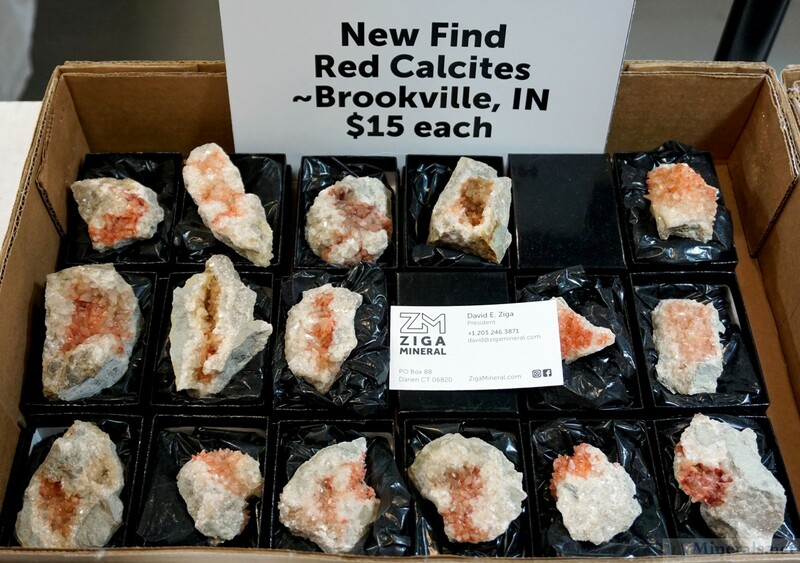 Ziga Mineral had a flat of red Calcite, from a new find in Brookville, Indiana. 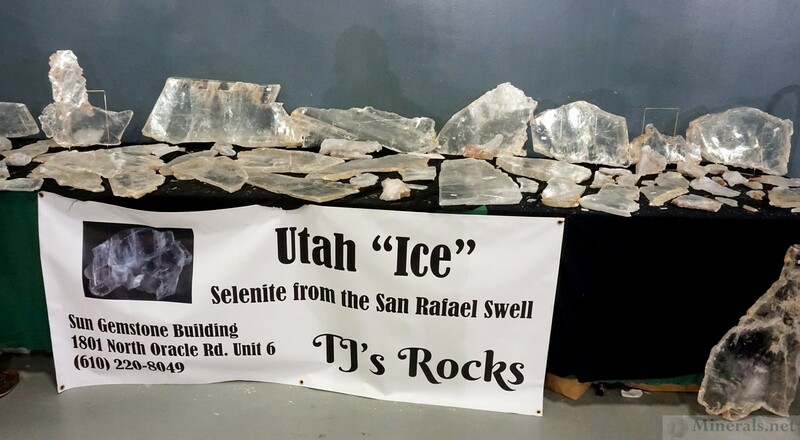 At the western wall of the convention center, several tables were set up by TJ's Rocks, featuring some very large Selenite Crystals that were very typically shaped in flattened, transparent, colorless crystals. 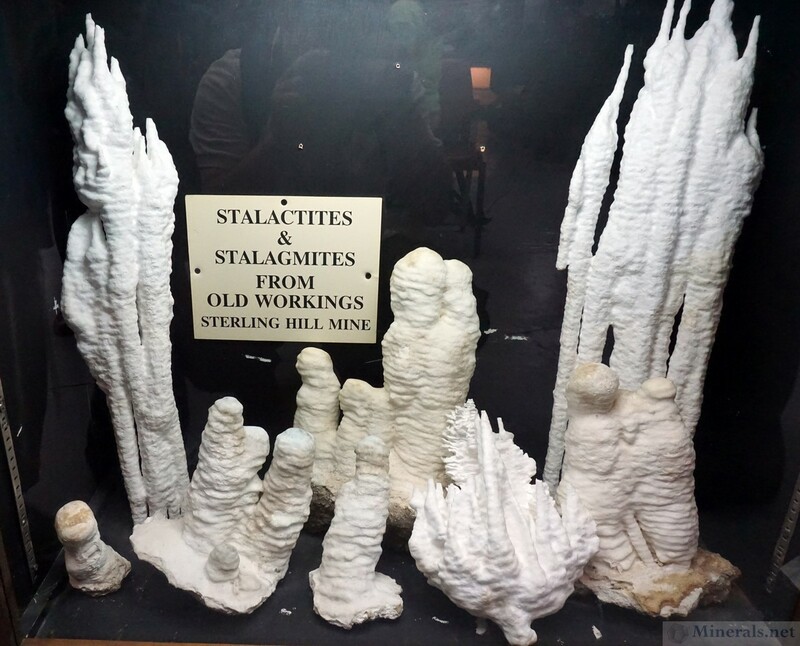 These were from the otherwise unknown locality of the San Rafael Swell, near Green River, Utah. As I was completing my rounds on the show floor, I encountered Bryan Major of Ultra-Rocks, who always has some new finds that he digs and discovers, year after year. This year was no exception, and Bryan had some large Amethyst crystals from Union Co., South Carolina from a newly discovered and very productive location. 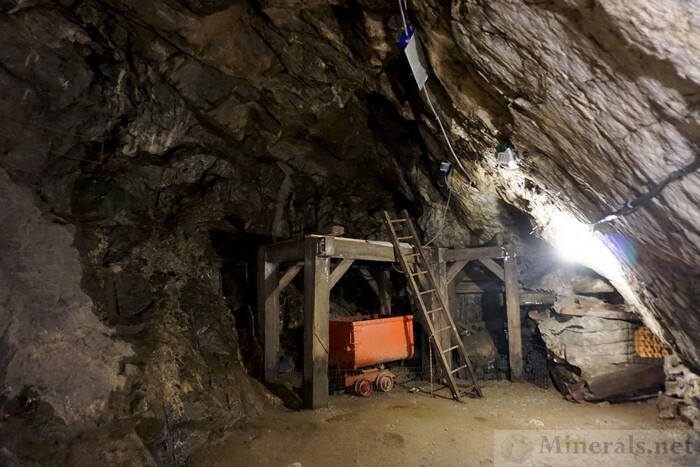 Bryan is yet to name the mine, and will be taking to social media to have some of his online followers come up with a name.